This fragile warning tape, made from premium vinyl, helps safeguard packages when they are handled in the post or storage. It is an excellently performing packing tape with high-tack adhesive and the text printed clearly in red on white. 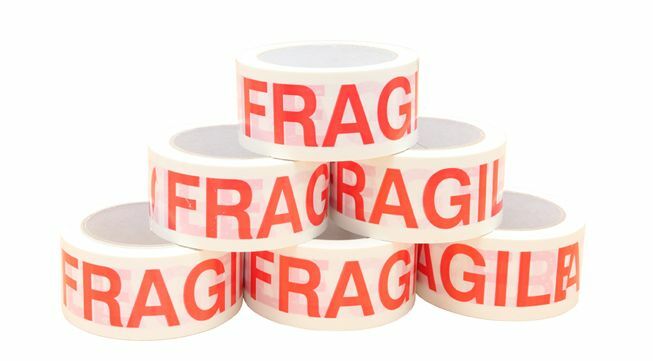 Our FRAGILE warning tape is perfect when you need an adhesive tape for packing up and sealing boxes containing china or other breakable goods. 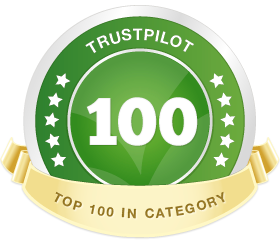 It sends out your warning loud and clear while sealing your package securely, and is ideal for dispatching delicate products or when moving house. 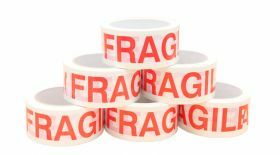 This packing tape has the word fragile printed in red over a white background, making it highly visible, quickly alerting people to the extra care and attention your packaged items need during transit or while in storage. Using a warning tape helps ensure that your parcels are protected from damage. Can be used with our tape gun. Our FRAGILE printed packing tape saves you time and money as you don’t have to use extra warning labels. It’s a superb carton sealing adhesive tape made from high quality vinyl with strong and durable glue, thus keeping your valuable and precious items secure.This warning tape can also be used as a way of checking if sealed items have been tampered with. Available in packs of six, our 50mm x 66m rolls of fragile tape are made of low-noise vinyl material, perfect when you have lots of boxes to prepare for shipping or when packing up breakables for a house move. Use the warning tape with our tape dispenser for quick and easy application, or for volume packaging use our tape gun. The unmistakable warning text on this printed adhesive tape is a highly convenient way of calling attention to the need for extra care. For sealing other boxes that need special handling, see also our GLASS WITH CARE, HANDLE WITH CARE or CAUTION tape.